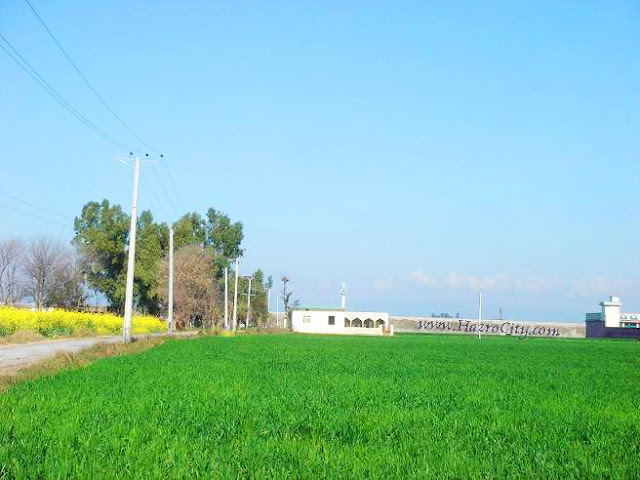 Green fields view of Malak Malian near Pakistan Motorway (M-1), located on the way to Salim Khan & Lakorhi villages from Hazro. People of Dhoke Malak Mala rebuilt Masjid in new shape after increasing community. Residents of Salim Khan, western Lakorhi (Qabool Baba Area) & Asghar villages now use the alternative gangway road of Adalzai village direction much as compare this Motorway gangway.